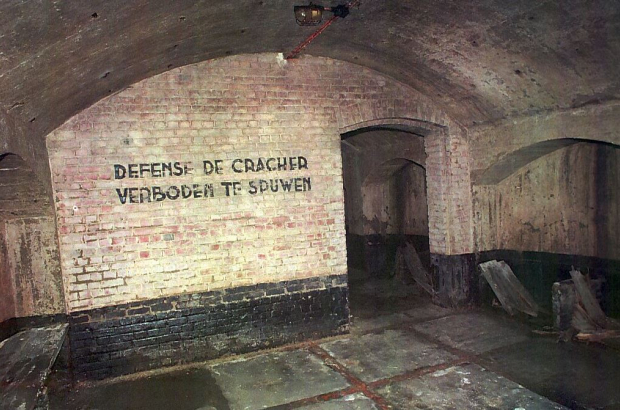 A second world war air-raid shelter under Brussels' Place du Jeu de Balle has been classified as a protected building - three years after locals began proceedings to stop an underground car park being built there. Former Brussels mayor Yvan Mayeur announced plans for the car park at Jeu de Balle in late 2014, but the idea was scrapped in 2015 after fierce opposition by the Marolles Platform, a group of neighbourhood and heritage assocciations. RTBF reports that the Brussels-Capital Region's council of ministers has now approved the application for protected status for the bunker, which is the property of the City of Brussels and measures 35 metres long by seven metres wide. Campaign organiser Gwen Bresse said: "This was a citizen-led initiative. We're glad it has finally happened." She said opening up the shelter to the public would be difficult. It would require substantial preservation work - and opening a ground-level access could cause tensions with market traders, who have been selling on the square daily since 1873. When the campaign against the underground car park began, Brussels city councillor for public works Els Ampe said: "The heritage services have never invested in this shelter. Suddenly, now there is a project to build parking, everyone is interested in the shelter."